Are you planning on investing in real estate? Well, it is a good idea. Property is a solid asset that does increase in value. The mortgage crisis of 2015 did create a tremendous fall in real estate prices but times have changed. This is 2015 and the real estate market is on the rebound. If you are planning on buying property for yourself or just as an investor, this is a good time to invest says Jeff Adams. However, he also points out that the 2015 real estate market is a little different from the real estate market of yore. Before you take the leap, here are a few things you should know. Yes, the real estate market has changed but the good news is that property rates are increasing. If you buy a property, industry professionals recommend you buy something local. This way you can check on the property, find tenants, maintain the property and collect rents. You can choose to invest in another city but this can mean more expenses. You will have to hire a property management company to care for the property and find tenants and this can be expensive. Maintaining real estate can be expensive. If you can find a contractor to work with you as a business partner, you can save a lot of money. This can work to your benefit if you flip the property or rent it out. The 2015 market is perfect for renting. Rental rates are increasing. Due to the economy, singles and the families have been moving about the country in search of better jobs. As a result, single family homes, condos, and apartments are in demand. If you can find small homes or an apartment building with single-family accommodation, you can make a neat profit. Jeff Adams #1 Real Estate Trainer urges first-time investors to learn as much as possible about the current real estate market before they do anything. Buying property means taking a loan, calculating your mortgage payments, calculating expenses, losses and profits, choosing property types, etc. It’s not possible to know everything but you can learn and this is what you have to do. 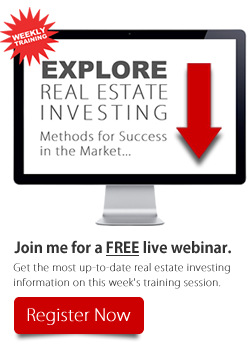 Attend local real estate training classes, talk to industry professionals, join online forums, etc. If possible, take basic math and accounting classes as well to help you deal with the financial part of investment. No matter which kind of property you invest in, make sure you have a clear exit policy about the property you have purchased. That means planning for the future. What do you intend to do with the property five years down the line? Sell or hold? Plan accordingly and make sure your exit policy regarding the property is ready. You can be a landlord or a flipper; plan your funding, choices, and profit/loss accordingly. If you do your legwork correctly, there is no reason why you cannot make a neat profit in the real estate market. Just make sure your objectives are clear and you stick to a clear plan. If you do so, there is nothing to worry about.